This year is a new year for me I have decided that I am going to love winter. Every year after Christmas I start wishing for summer and it makes the winter so long and so boring. NOT this year! 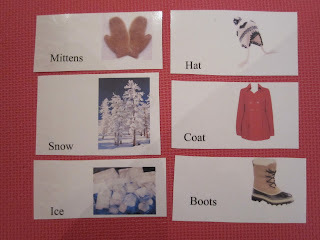 So for the month of January I planned a winter theme for the kids. Here are a few of things we are working on. 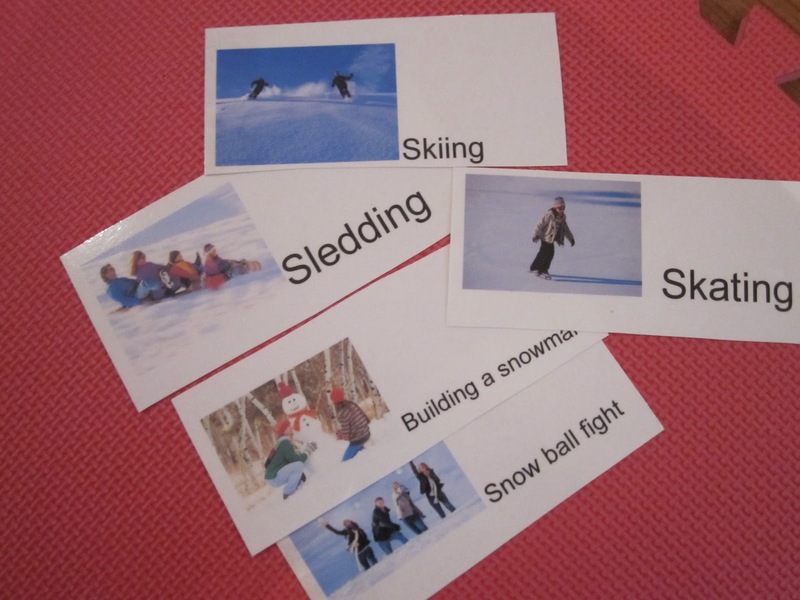 I found these images on google printed and laminated them with the corresponding action word. When I hold up the card the kids act out the action! I am starting to work with nomenclature cards with the kids I am making them myself I made these winter cards and was thrilled today to see that even my youngest little person LOVED them. 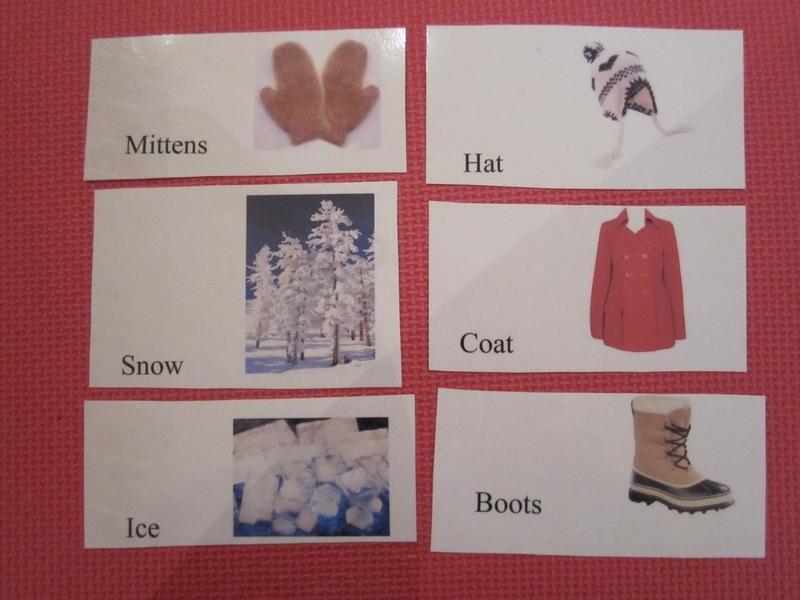 Here is a great link if you are interested in learning more about montessori and nomenclature cards. 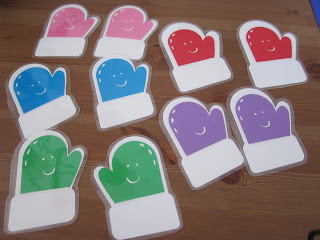 Color matching I made these little mittens and have set them out for the kids to use as color matching cards. 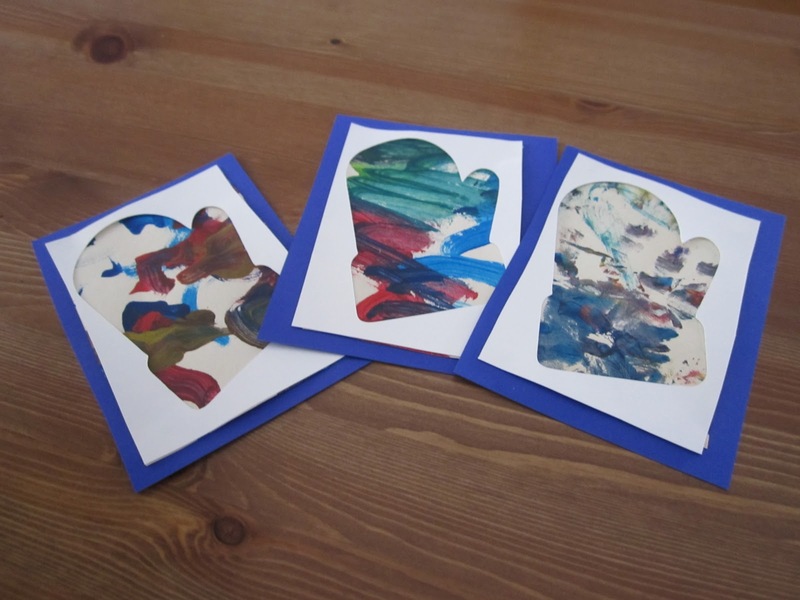 I had cut out little mittens for the kids to paint but they weren't interested (I think the mitts were to small and they needed a bigger work space) So they painted on regular paper I framed the paintings in the left over cut out scraps! I love the way they turned out! I keep a journal for each child so that I don't send so many arts and crafts home so these were a nice addition. 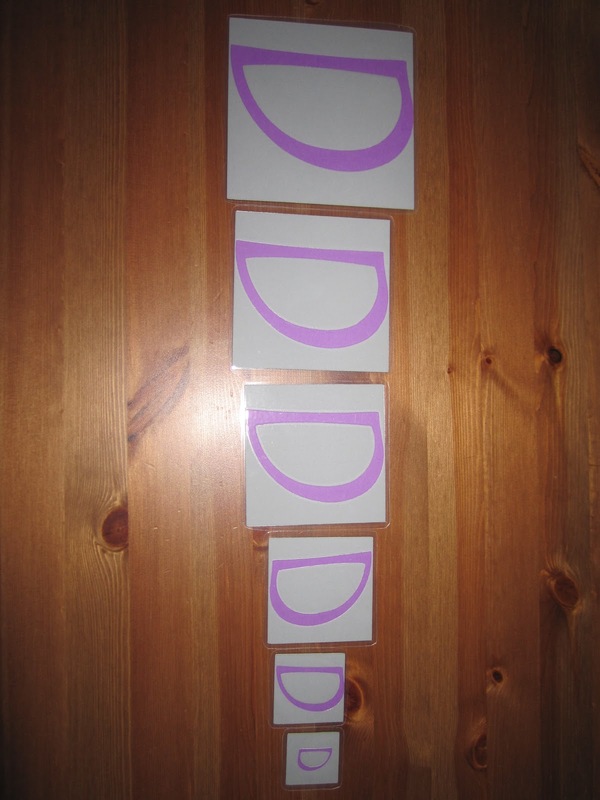 We are still working on our alphabet using the abc twiggles program here is the link. I added these size sequencing cards to our lesson this week and the kids loved them.